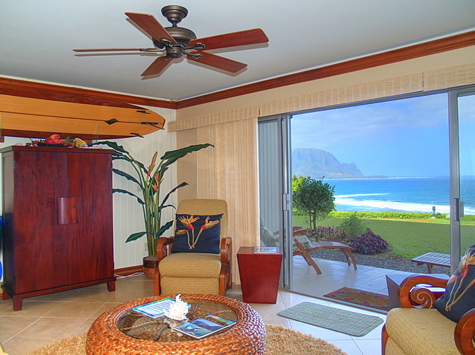 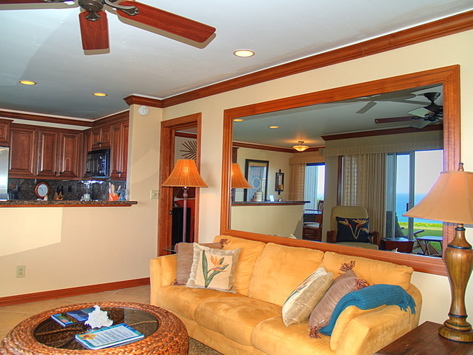 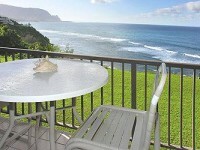 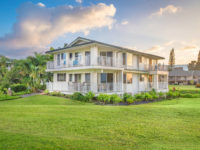 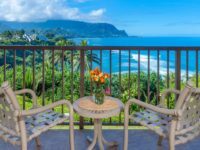 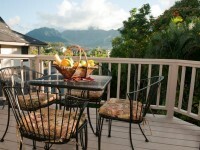 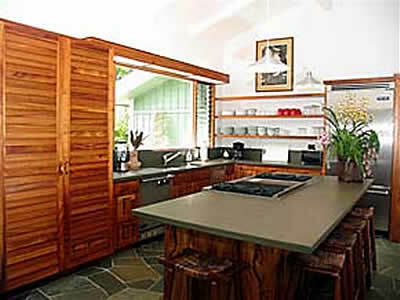 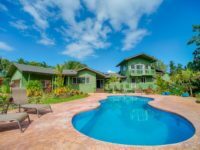 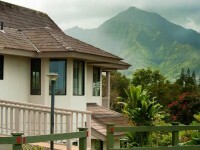 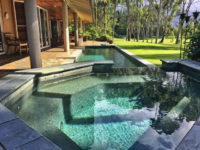 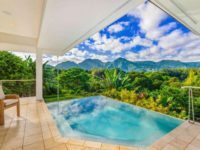 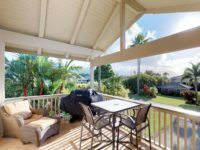 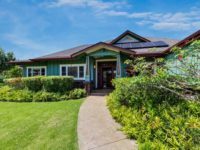 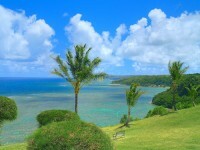 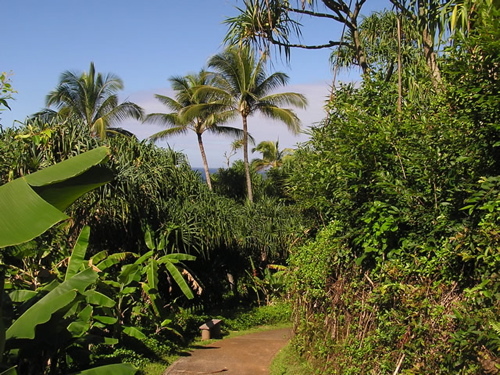 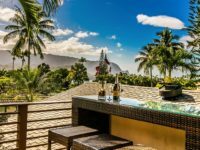 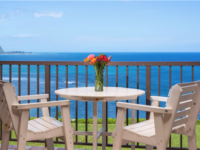 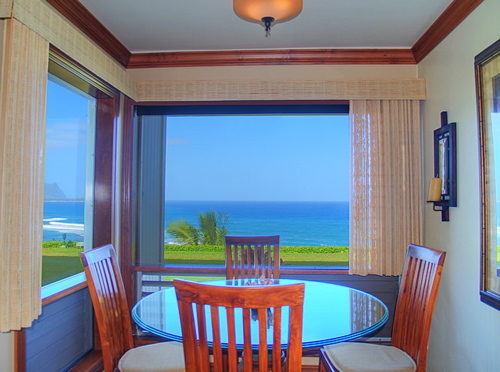 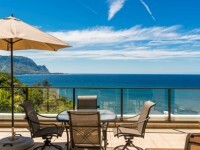 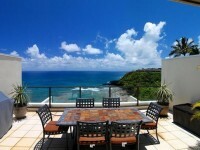 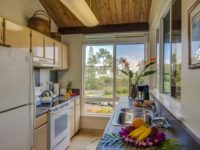 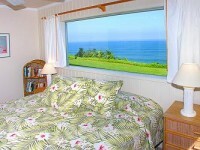 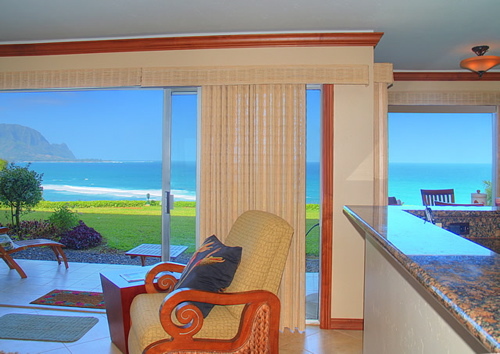 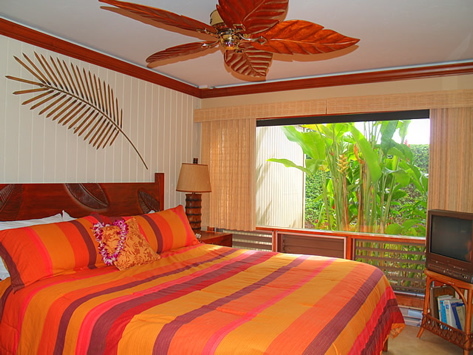 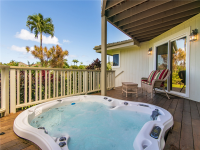 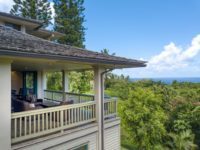 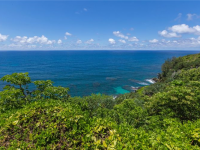 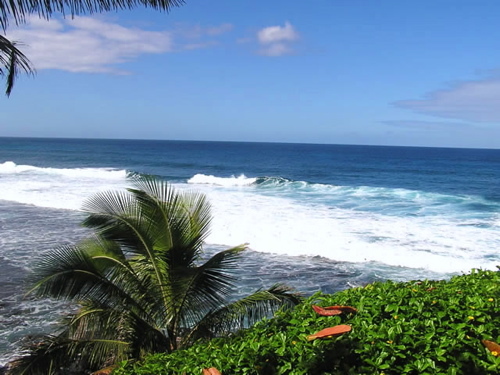 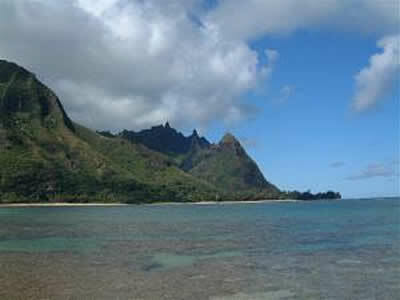 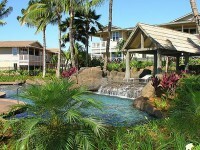 CONDO RENTAL PRINCEVILLE KAUAI: Pali Ke Kua 102, a 1 bedroom, 1 bath condo in Princeville. 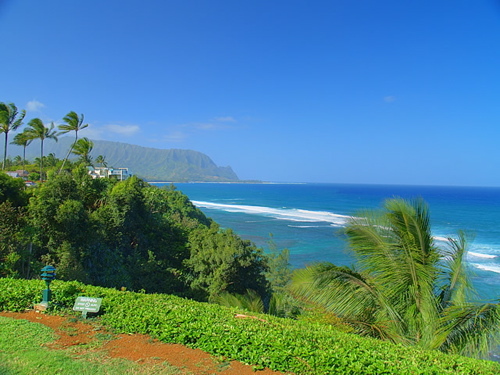 This view will enter your soul, forever to recall when you need a mental retreat into peace and beauty. 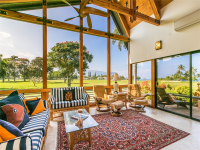 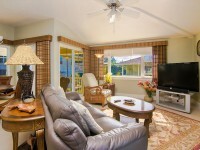 Romantic, quiet, private and air conditioned! 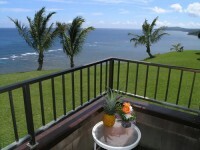 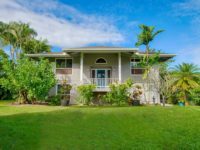 This unit lies very close to the paved path leading down the bluffs edge to Hideaways Beach. 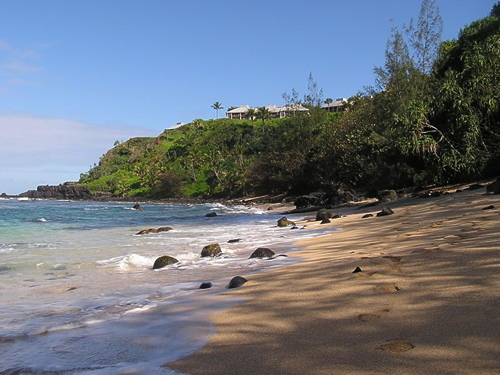 Your adventure continues on the tranquil sands and the ever-changing parade of colorful fish living on the Anini Reef begins.